Letitia Manter (Executive Assistant) started working in the Hotel and Tourism industry many years ago. 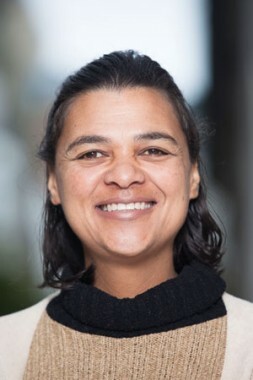 She has since worked at the Centre for Conflict Resolution as the Africa Programmes Administrator, and more recently at Isandla Institute as the Senior Administrator. Letitia has extensive experience in office management, bookkeeping, as well as co-ordinating national and international conferences and seminars. She enjoys spending quality time with family to strengthen relationships and create memorable moments.